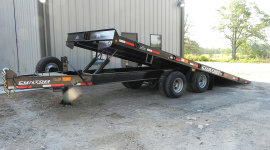 Before operating this trailer read and familiarize yourself with the entire operating manual. 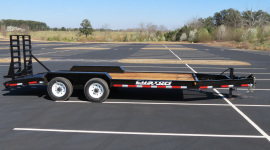 Ensure that you are hauling within the GVWR of truck and trailer specifications. 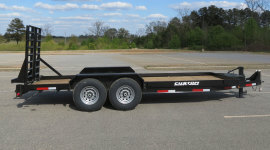 DO NOT EXCEED capacity of trailer. 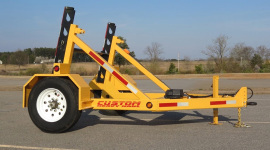 Ensure that the tow vehicle has proper capabilities, hitch capacities, break and light hook ups. 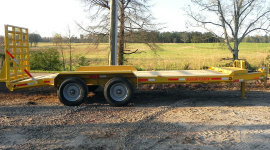 Park trailer on flat and level ground. 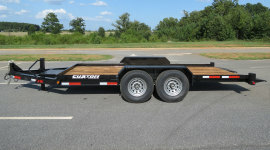 Exercise extreme caution when climbing on to or off of the trailer surface. Make sure you have proper footing. 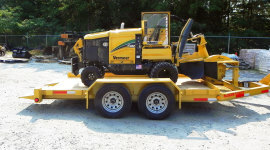 Don’t stand on any surface that could cause you to fall off of the trailer or into your equipment. Hook up air brake system, if so equipped. 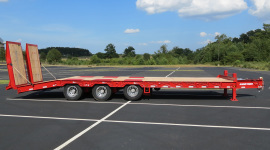 Ensure all lights and brakes are functioning properly before you attempt to load. 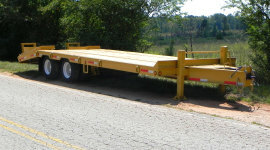 Ensure that trailer is on flat and level ground before you attempt to load. 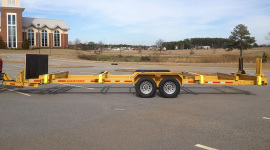 Failure to do so may cause equipment to slide off side of trailer causing damage to truck, trailer, equipment, and may cause bodily injury and/or death to the operator. 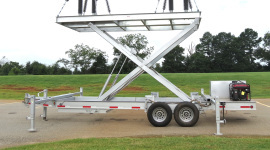 On tilt trailers, release tilt deck lock pin before attempting to load or unload equipment. 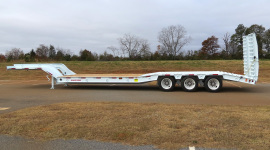 Failure to do so may cause equipment to slide off side of trailer causing damage to truck, trailer, equipment, and may cause bodily injury and/or death to the operator. On tilt deck models adjust hydraulic cushion flow control valve about ½ way the first time you load. Then adjust for the weight of the equipment you are loading to maintain a slow and easy ascent or descent to the load/unload positions. Turn clockwise for slower descent and counter clockwise for faster descent. 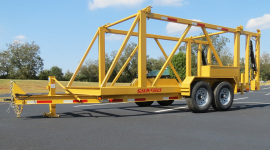 Secure equipment with the tie down points provided using adequate sized chains or straps rated for intended load. 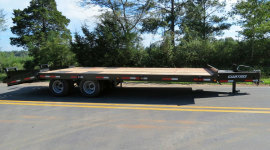 Make sure all loose items are secured properly before moving trailer. 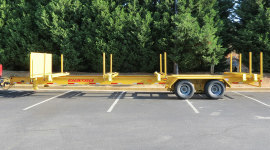 When unloading make sure trailer is on flat and level ground and release tilt deck lock prior to moving equipment. 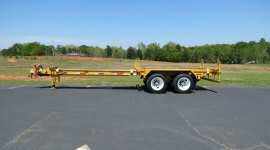 Failure to do so may cause equipment to slide off side of trailer causing damage to truck, trailer, equipment, and may cause bodily injury and/or death to the operator. Check tire pressures prior to each use. Re-torque lug nuts after 50 – 100 miles. 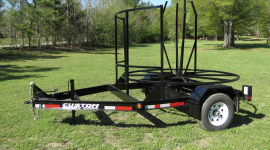 Re-torque suspension per decal attached to trailer.